There are three things to remember during these turbulent days. The first is that we are eternal and no matter what happens we are safe as we return to Source. The second is that nobody can tell us what our truth is unless we allow them to. And thirdly, if we take the time to look within we will find the answers that we need. Why are these three things the most important right now? At this timing, Earth is experiencing an influx of energetic support for our collective evolution. These beings are here because as a global community we have asked for support time and time again, and this means that our human race has been awakened to know that we are united at every atom of our existences and expressions. However, these beings are varied, and they do not serve as our saviour, and they will not rescue us. They do not come because we are helpless to help ourselves or others. They are support. Our own inner, core Spirit is the true centre of our being first and foremost. This is where truth resides and nowhere else. This is the time to be sure that if we are looking externally for answers to ourselves we may find that we are being misdirected. We may find that we are being centred in deception. We may find that we are moving in a direction that does not resonate. So this is not stated to create fear, but to understand that developing our own inner awareness and ability to discern truth is what brings us into spiritual maturity and mastery. This is what we are all learning to put into expression. If we take the time for this, then we are being developed in such a way that nothing can alter our truth and our discernment. This is a highly diligent practice but it’s worth it because there may come a time in everyone’s life when there is such a choice to be made – a choice that will either take us away from Source or toward it, that will take us away from truth or toward it. And while we cannot truly, ultimately, make any mistake because All is One and One is All, we are moving into such a way as to flow with our highest expression. This requires that we pay attention now, not later. Because if we are caught short of our inner awareness, then we will see that it is indeed very trying to find truth. It will become confused, altered, and distorted, and feel like a web of complexity. It will challenge us to pull things apart to make sense, and to determine what feels right. This inner knowing is predicated on one basic principle that serves every one of us wanting to have self-mastery. The principle is this: ‘I AM united with God, through and through. No matter what, this never changes, and each and every time I acknowledge this, I AM brought into deeper unity’. So the more we take the time to acknowledge this union, we step away from being a victimized planet to one that is free. Truly, this is what we’ve been asking for. And the prayer has been answered. But do not sit back with a sigh of relief quite yet. There is still more to come. It comes when we least expect it, when our life turns in expected ways. Be prepared, not from fear but with compassion, with connectedness, with conviction, and commitment. Be prepared to be one of those that will shine ever so brightly and never falter. Fearless and invincible is what we will be. Healing with Heart to Awaken the Deep Truth Within. Appointments in person or by phone. Specializing in clearing stubborn patterns with 17 years experience. Integrating holographic clearing of your multi-dimensional blueprint, energy psychotherapy, thetahealing®, and vocal healing. 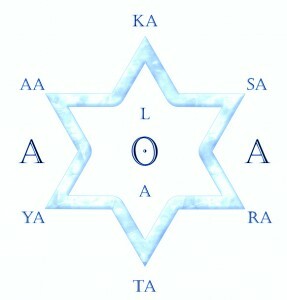 The AoA Hieros Gamos System is ideal for Starseeds, Indigos and Lightworkers who are committed to fulfilling their Highest Purpose in this ascension timeline – children and adults. Subscribe FREE to my newsletter – timely articles, tools and inspiration.